The goal of healthcare, nursing, and medicine is to serve all people, no matter their racial, ethnic, cultural, or religious background. With an increase in the rights, recognition, and needs of the LGBTQI population, we are also opening minds to the undeniable fact that every life and lifestyle is worthy of our respect and fair treatment. Still, at this time in history, health disparities and inequitable treatment abound in the United States. 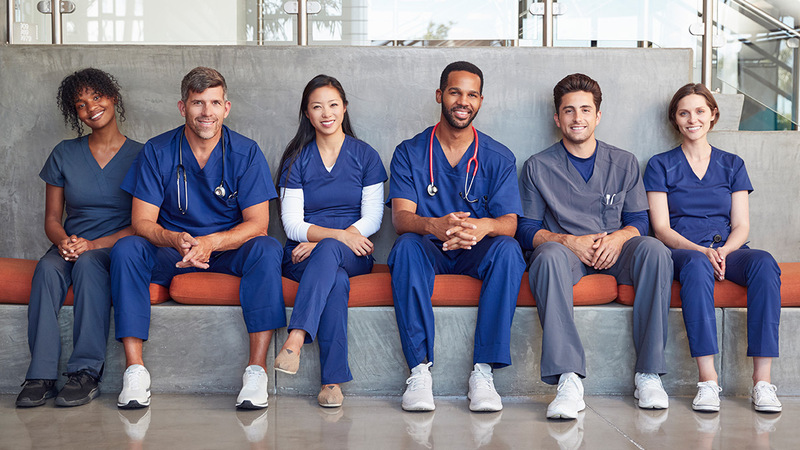 An increased diversity of the nursing workforce is often cited as an important frontline tool for the addressing and dismantling of health- and healthcare-related disparities. If nursing can diversify, the thinking goes, the healthcare system is sure to follow. Is this a possible solution to an important problem needing urgent and ongoing attention throughout the coming decades? In 21st-century American society, we are moving towards a population that will be so-called “majority-minority”. In fact, by mid-century, estimates predict that one third of Americans will be Hispanic, with other racial minorities – including African Americans, Asians, Native Americans, Pacific Islanders, and others -- also gaining ground. In addition, people choosing to claim more than one racial heritage will continue to increase. This ongoing diversification of the American population necessitates a massive evolution in our approach to medical treatment, research, technology, the availability of viable health insurance coverage, drug discovery, and other crucial aspects of a highly complex system serving millions of consumers in a rapidly aging and diversifying population. According to a 2014 article published in Public Health Reportsand archived on the U.S. National Library of Medicine website, 65.6% of the U.S. population was non-Hispanic white and approximately 83.2% of 3 million American nurses were identified as non-Hispanic white. With 16.8% of nurses being identified as non-white, the nursing workforce has woefully not reflected the public that nurses serve. With incremental improvement in the recruitment of racial minorities into the nursing profession, things have improved in recent years, and efforts are apparently also underway to recruit a greater number of nursing instructors who more accurately represent the nursing student body. According to the same article, one identified way for nursing to powerfully impact healthcare disparities is to encourage more nurses to enter the realm of research, supported in large part by the National Institute of Nursing Research (NINR). Thus, minority nurse scientists are seen as key to this effort of increasing access and representation of non-white Americans in the healthcare universe. Adding fuel to these arguments, the practice of bringing more non-white nurses into positions of power, influence, and leadership is also seen as a beacon of hope for these efforts. The needs of vulnerable populations must be addressed at all levels of nursing education, with increased awareness of the stark data that can facilitate nurses speaking out when it comes to healthcare equality. When the eyes of nurses and nursing students are opened to the challenges faced by vulnerable and underrepresented patient populations, the hope is that certain students and nursing professionals will take inspired action to address the disparities within the healthcare system. As the largest percentage of healthcare workers in the country, nurses are keenly positioned to make their mark on the battle against disparities that leave certain segments of the public in the dark. Following in the footsteps of Florence Nightingale and Lillian Wald, nurses have always been at the forefront of healthcare innovation and the championing of the disenfranchised. In the increasingly diverse 21st-century America, we again have the golden opportunity to set the record straight and bring all American healthcare consumers out of the cold and into the mainstream of healthcare equality.